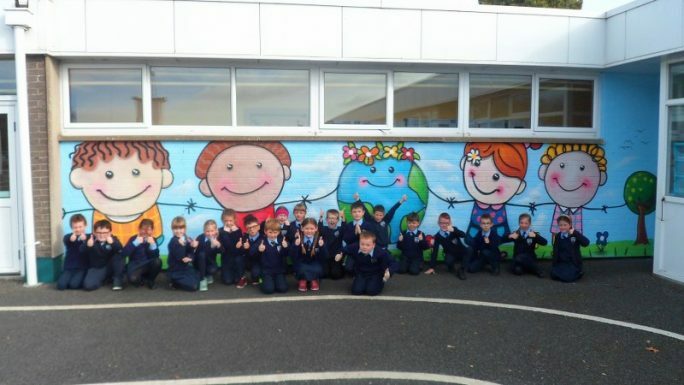 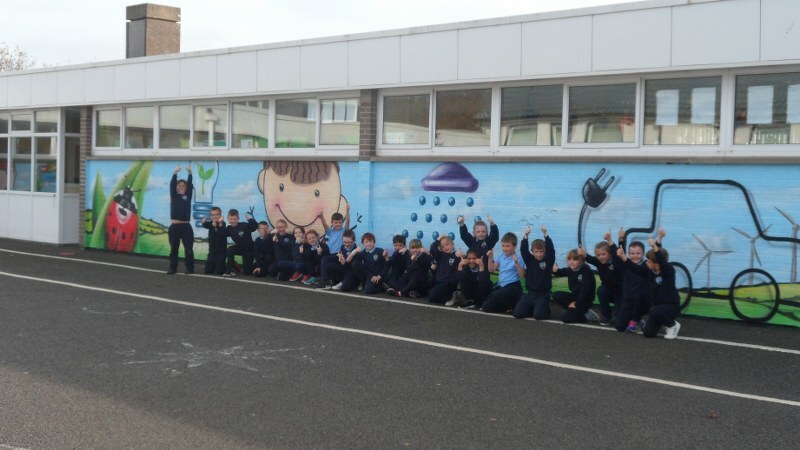 We are delighted with the new murals that brighten up the junior yard. 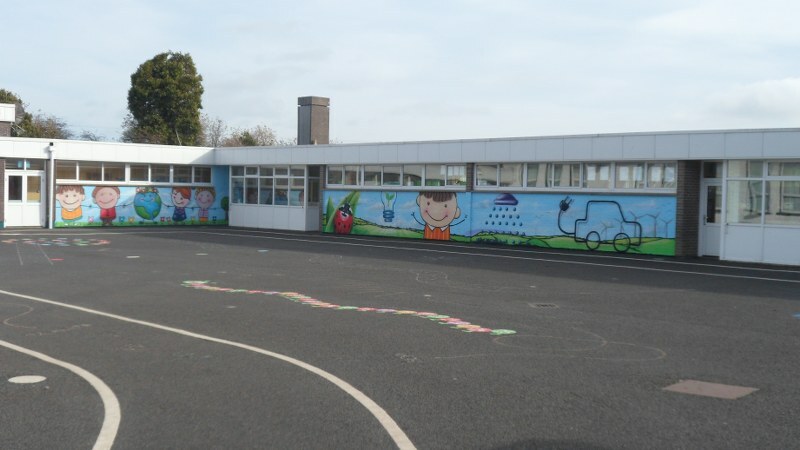 They are based on themes of our Green Flags. 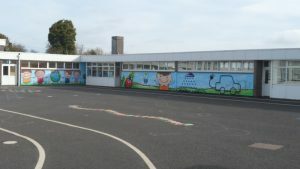 Try and see if you can identify all the flags from the murals the next time you look at them! 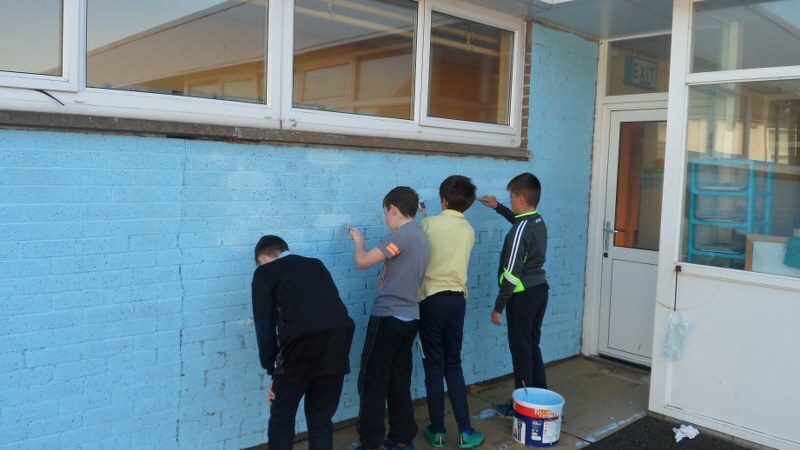 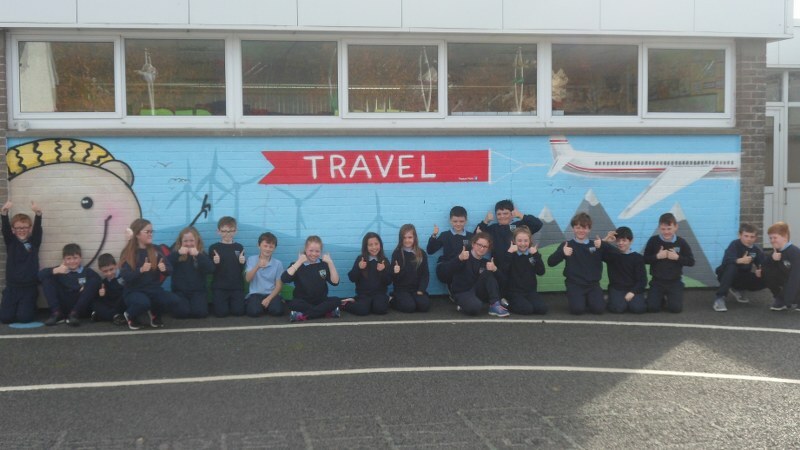 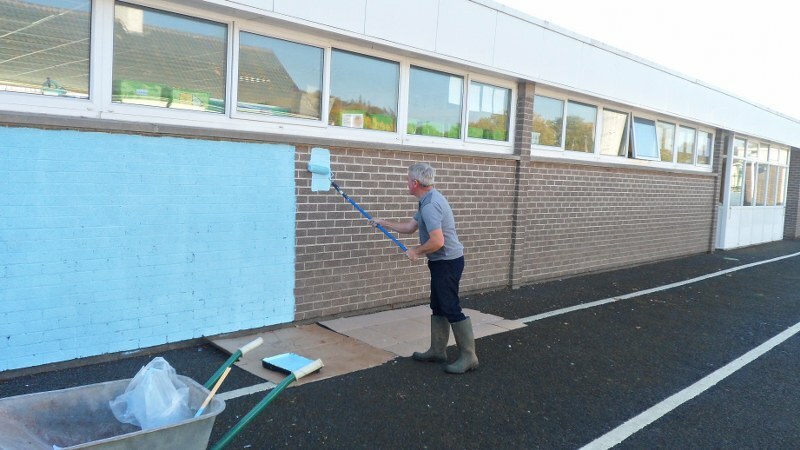 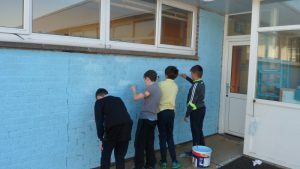 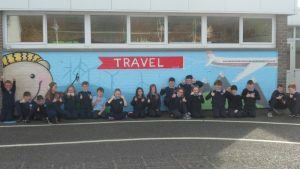 Thank you to Davy and the pupils in 6th class who were busy preparing the walls by painting them blue. A huge thank you to our Parents Association who funded this.